Explore the cobbled streets and fabulous colonial architecture of Havana Vieja. 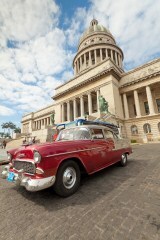 Ride in a classic American car around the modern part of Havana. 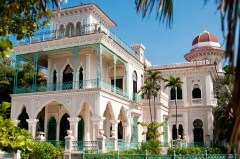 Explore the colonial streets and exquisitely preserved buildings in atmospheric Trinidad. Learn about Cuba’s turbulent history, and in particular it’s revolutionary hero Che Guevara. Enjoy some free time relaxing at several of Cuba’s sublime Caribbean beaches. 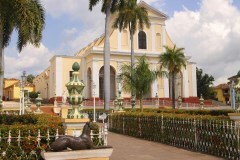 Visit the UNESCO World Heritage listed town of Cienfuegos. 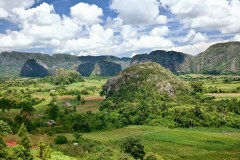 Drive through the picturesque country town of Viñales, passing classic cars and horse drawn carts. Travel with your own personal driver guide, a local who speaks good english and will be able to adapt your holiday to your preferences. Experience Cuban hospitality with a stay at a bed and breakfast known as a 'Casa Particular' (hotel can be included if you prefer). Explore a fascinating tour of Santiago city with a visit to El Morro Castle. Relax by the beautiful beaches of Guardalavaca. 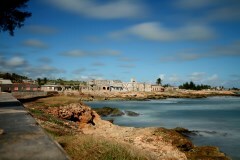 Get off the beaten track and visit Gibara, one of Cuba's best kept secrets. Not interested in a day at leisure? We can always return you to Havana a day earlier. Try a salsa lesson in Havana. Consider an overnight stay in Viñales. Head further south and visit Baracoa. At the airport you will be met by a local representative and chauffeur-driven in a classic American car to your centrally located hotel. The evening is at your leisure. We recommend wandering through the streets and, perhaps, soaking up the atmosphere and music in a bar whilst sipping on a Mojito. Today you will get acquainted with Cuba's capital city by taking a guided walking tour through the crumbling splendour of the UNESCO World Heritage listed site, Habana Vieja (Old Havana). Wars and revolution have done little to damage its heritage, making it one of the finest examples of a Spanish colonial city anywhere in the Americas. You will first enjoy a short walking tour around Old Havana including its most important squares and fortresses being picked up at the Plaza de Armas in your chauffeur-driven, classic American car for a scenic drive along the Malecón seafront to the elegant suburb of Miramar, with a stop at Revolution Square. 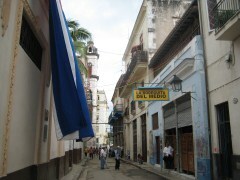 Finally we include a traditional Cuban lunch, a visit to the Ernest Hemingway museum and drop you off at your hotel. This evening is at your leisure. You might want to consider taking in a cabaret show at Havana’s famous Tropicana nightclub, which boasts more than two hundred performers, a fabulous orchestra, and astonishing acrobatic feats. Today we’ll travel to Pinar del Rio province, in the west of Cuba, and to the small village of Viñales located in a valley of the same name, which possesses some of Cuba’s most dramatic landscapes and is the world’s best tobacco growing region. The beautiful, fertile valley is surrounded by unusual limestone outcrops known as ‘Mogotes’. 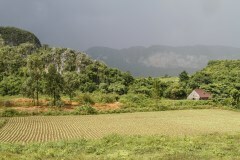 A visit here is a great way of gaining an insight into life in rural Cuba and you’ll be served a traditional Cuban lunch. On the way in from Havana, you will enjoy a visit to a cigar factory and a working tobacco farm, where you will learn about the lifestyle of local farmers as well as about the growing of tobacco. In Viñales, we include a visit to the ‘Mural de Prehistorica’ where a history of evolution is painted in bright colours on the side of a Mogote. Enjoy a rustic lunch at Alberto Vitamina before returning to Havana. This morning we transfer you to Cienfuegos, approximately a four hour drive southeast. 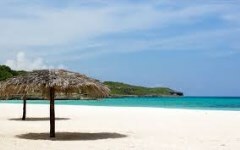 Along the way, you'll have the opportunity to stop whenever you would like and there are several spectacular Caribbean beaches where you might like to enjoy a swim. Another stop will be at the historic Bay of Pigs where you’ll see the actual place where US forces landed during the 1961 invasion of Cuba as well as visiting a fascinating museum about the invasion and the Cuban Missile Crisis. On arrival in Cienfuegos you will check in to the Hotel La Union, one of the most charming boutique hotels in Cuba, before enjoying lunch at a local restaurant (own expense). After lunch, your guide will take you on a walking tour of this laid back maritime city, known as the 'Pearl of the South', due to its lovely location on a picturesque Caribbean bay. Walk through the city’s well preserved colonial centre and learn about its proud musical tradition and its famous musicians, like Benny More. The evening is at your leisure. We recommend relaxing in your hotel pool or enjoying a drink on the rooftop terrace, which offers unsurpassed views of the city. This morning we’ll transfer you to the town of Trinidad, which is often referred to as the Soul of Cuba. On arrival, we’ll include a walking tour of the main sights of the city. The city was founded in 1514 by the Spanish conquistador Diego Velasquez and became a major centre for trading sugar and slaves for almost two hundred years. The wealth generated by the landowners during this region's dark past is reflected by the well restored colonial architecture found in Trinidad's colonial centre, which was declared a UNESCO World Heritage Site in 1988. After further walking the cobble stoned colonial heart of Trinidad, you should consider a drive out to Playa Ancón for beach time and perhaps even some scuba diving. Tonight we recommend you check out Casa de la Musica for some salsa dancing, before heading to the Disco Ayala, set in a cave. If you choose our comfort or superior level of accommodation we include the next 2 nights at a local home in central Trinidad where you will experience true Cuban hospitality. Dinner is available at an additional cost. If you prefer to stay in a hotel we recommend the Iberostar Grand Hotel which is, in our opinion, Cuba’s finest property. Must be booked well in advance. Today is at your leisure with your driver at your disposal. We suggest you take the opportunity to visit one of Cuba’s best beaches – Playa Ancon which is a short drive from Trinidad, or further explore the town. If you’re feeling more energetic, you could also consider a day trip to the Gran Parque Natural Topes de Collantes, which is an area known for its hiking and birding. Your first stop today will be the city of Sancti Spiritus which despite having a wonderful colonial heart is well off the Cuban tourist trail.Visit Hacienda Iznaga and the slave tower. 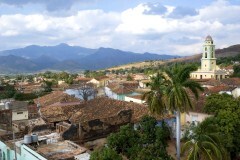 Continue along the Sierra Escambray until you reach the colonial Sancti Spiritus. After lunch and a tour of the city you’ll head to Camaguey, the third largest city in Cuba and a UNESCO World Heritage Site. Camaguey was founded in 1515 on the coast but was moved inland 13 years later after almost continuous attacks by pirates. The new city was built with a confusing layout of winding alleys that made it easier to defend from any raiders and you’ll delight in the many blind alleys and forked streets that lead off to squares and plazas of different sizes. However, there is a different version of history that says that the city was built in this way simply because there was no proper town planning done at the time! You’ll be given a guided tour of all the main sights of the city before enjoying free time in the evening. 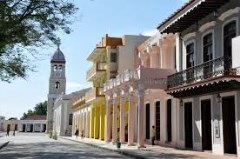 Today we will travel to the city of Bayamo which though founded in 1513 was almost destroyed in the 1870s during the first Cuban war of independence. The city was a stronghold of the anti-Spanish forces and Spanish troops repeatedly attacked it in an effort to defeat the insurgents. Today the city is a world leader in sustainable transportation and you’ll see horse drawn carriages all over town. After lunch in the historic Restaurant Royalton in the centre of Bayamo you’ll continue your journey down to Santiago de Cuba, the second city of the island. Santiago de Cuba has a fascinating history (for 67 years it was actually the capital of Cuba) and there are numerous sights both in and around the city which you’ll visit during a comprehensive tour of Santiago and its surrounding areas. During the Cuban Revolution the city was a hotbed of guerrilla activity and among the places you’ll visit are the Moncada Barracks which was attacked in 1953 by revolutionaries led by a young Fidel Castro in what was his first ever military operation. But perhaps the highlight of your city tour will be El Morro Castle that overlooks the bay and which is inscribed on the UNESCO World Heritage List as “the most complete, best-preserved example of Spanish-American military architecture, bases on Italian and Renaissance design principles”. Today we’ll set off for Gibara approximately 3 hours drive away. Every traveller's favorite, Gibara la Perla Hermosa, this lovely pearl of a town is a small, charming and quiet cocoon by the sea, wrapped by hills and woven with culture. On arrival in Gibara you’ll have some free time to explore. After breakfast we will have the morning at leisure to explore Gibara. Later you’ll continue on to the white sandy beaches and warm waters of Guardalavaca where you’ll have dinner at your all-inclusive resort. Today is a free day at the beach during which you can enjoy the warm turquoise water (we suggest trying some snorkelling or maybe a catamaran trip – or perhaps even swimming with dolphins!) and make use of all the services and facilities provided by your all-inclusive resort. 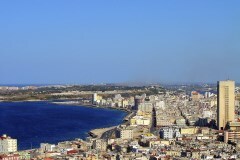 After breakfast at the resort you’ll be taken to Holguin Airport for the short flight back to Havana. On arrival you’ll be collected and taken to your hotel in Old Havana and then have a free afternoon to explore the cobbled streets of the colonial heart of the city. During the morning you’ll enjoy some additional free time before being collected from your hotel in the afternoon and taken to the airport for your flight home. 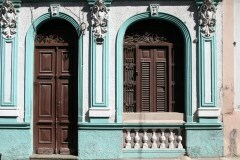 A Casa Particular means Private home stays in Cuba, very similar to Bed and Breakfast. For a small surcharge we can assist with organising your Cuba Tourist Card (visa).